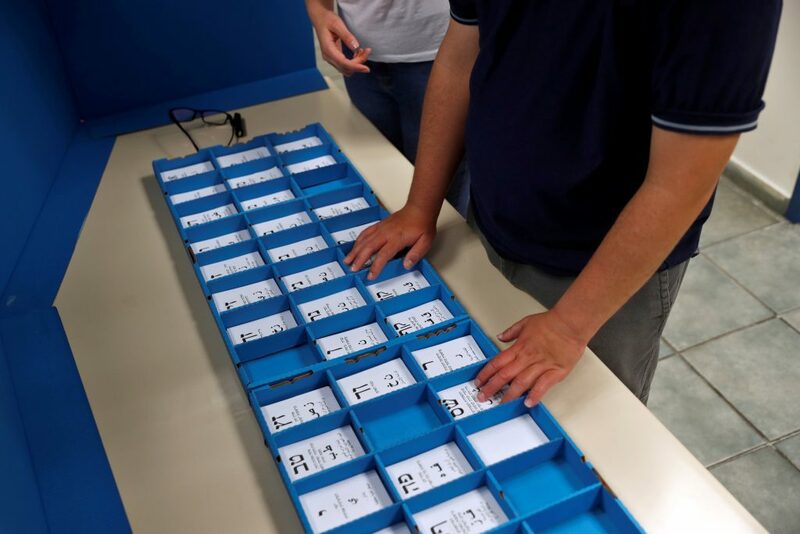 Voters in Israel’s election who are blind and visually impaired can cast their ballots unassisted on Tuesday thanks to a local invention that “reads” the options out loud for them. The smart-camera device, by Israeli hi-tech firm OrCam, is tacked onto the stem of spectacles and dictates into the wearer’s ear what is written before him or her. It can also scan barcodes and be programmed to recognize faces. As part of a pilot roll-out, the company distributed the device at 12 polling stations in Israel, assisting 20,000 voters — a constituency large enough to account for around half of one of the 120 seats in Knesset being contested. Several users credited the OrCam device with sparing them the hassle and intrusion of privacy of having to bring escorts to the voting booth. “It is probably the first opportunity for people with vision impairment to basically vote independently and without the assistance of anyone so they can choose whoever they want without letting anyone else knowing what they do,” said Naim Bassa, a visually impaired voter, speaking outside a voting station in Yerushalayim. The Yerushalayim-based team behind the OrCam device previously founded autonomous vehicle technology provider Mobileye, which was bought in 2017 by Intel for $15 billion.